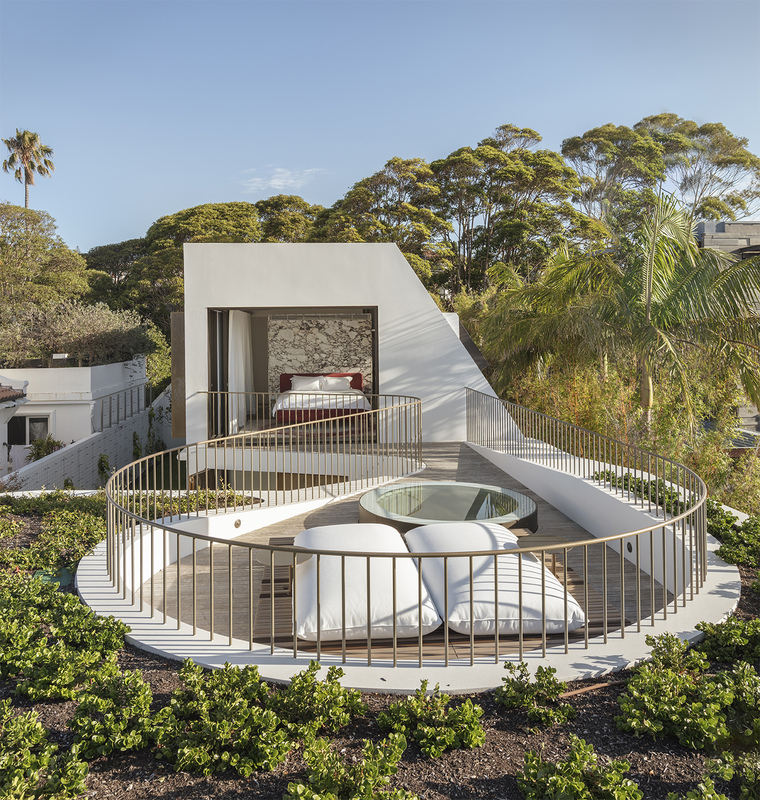 A play of geography, geometry and light, the Crescent House is a singular, undulating sculpture that weaves through lush, coastal gardens and crescendoes with enchanting views across Sydney Harbour to Middle Head in the distance. 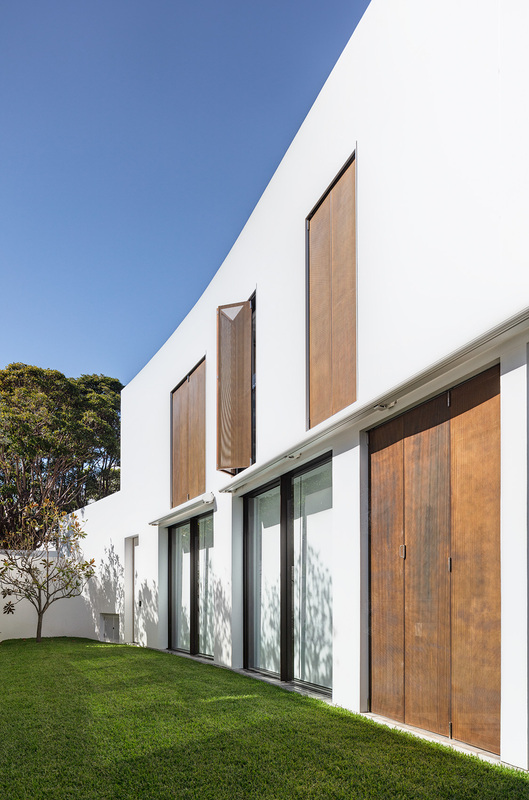 The clients had long awaited to build their dream home for their young family. 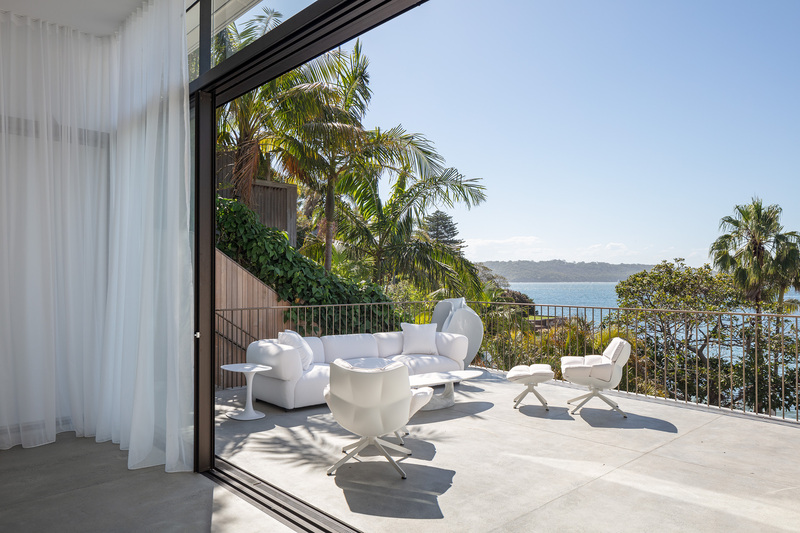 They chose the site for the northern aspect, panoramic vistas and direct access to Sydney Harbour foreshore. 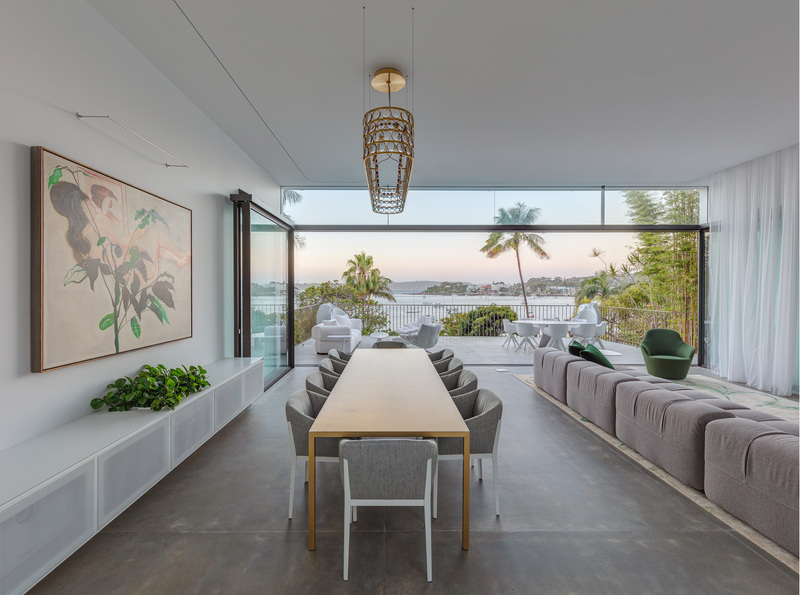 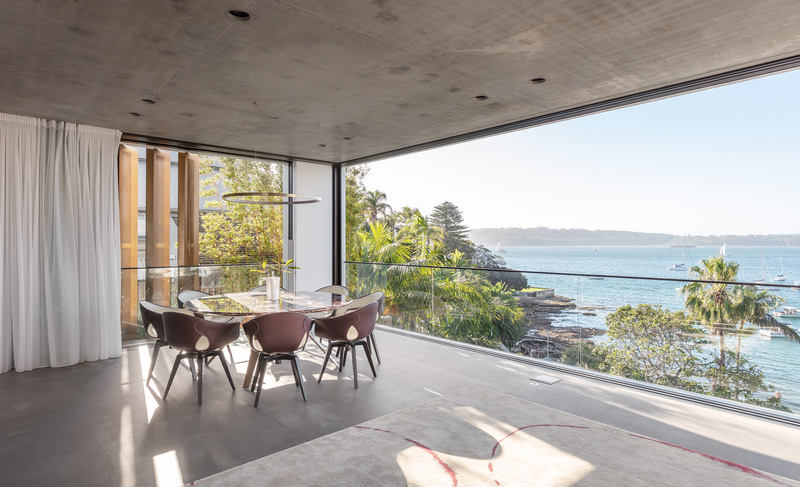 The brief was to create a future-ready home that captured various opportunities to entertain, relax and rest amongst gardens and harbour views. 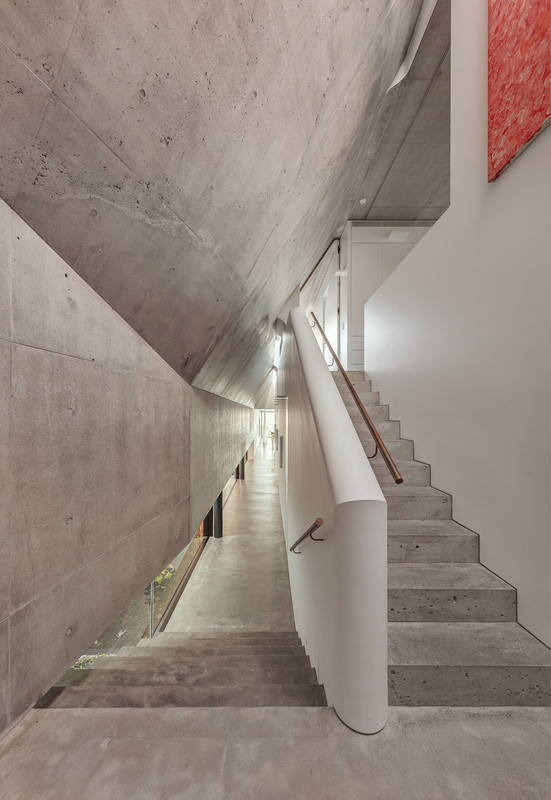 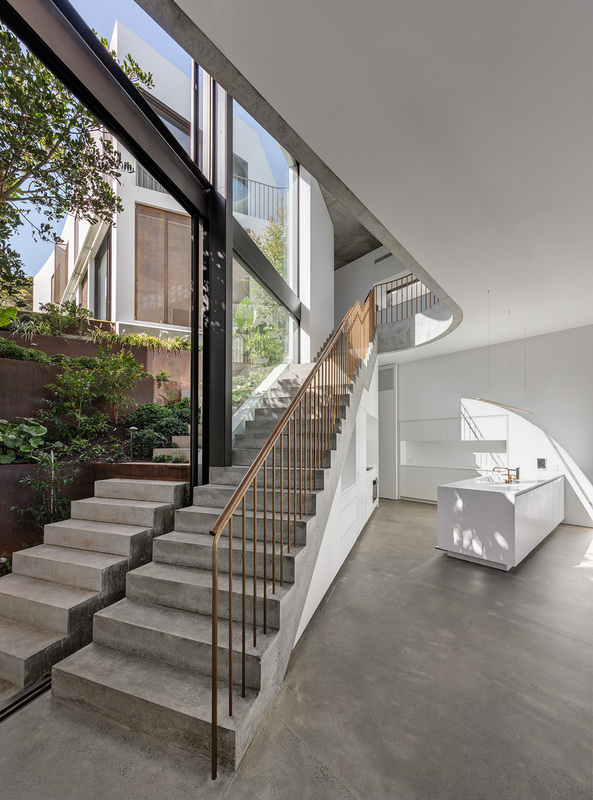 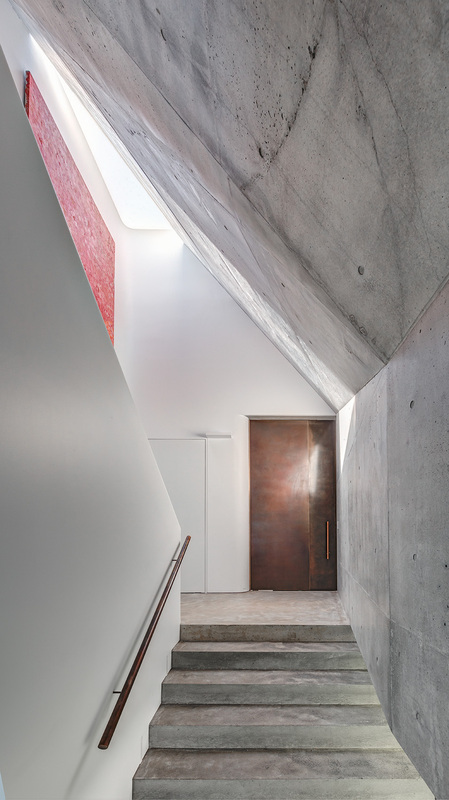 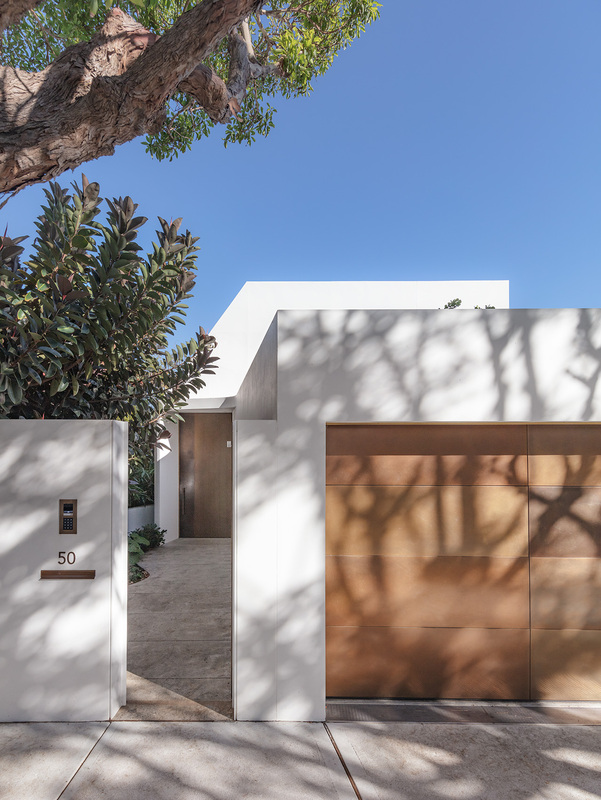 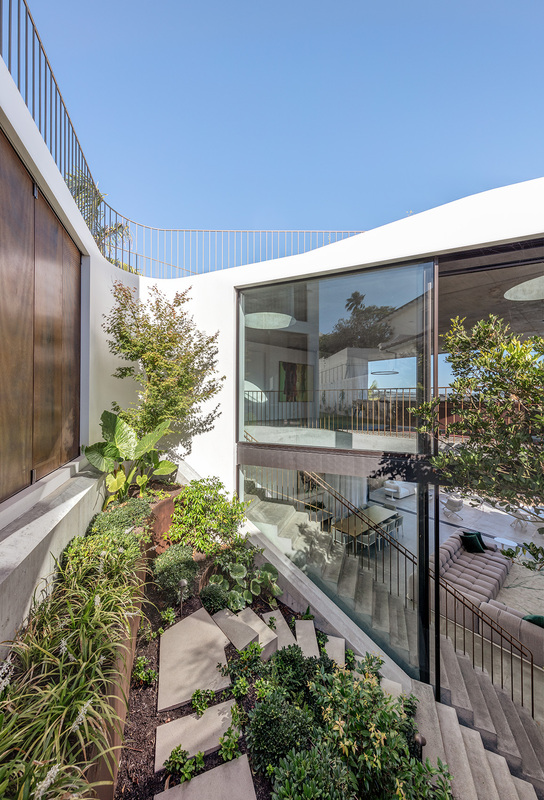 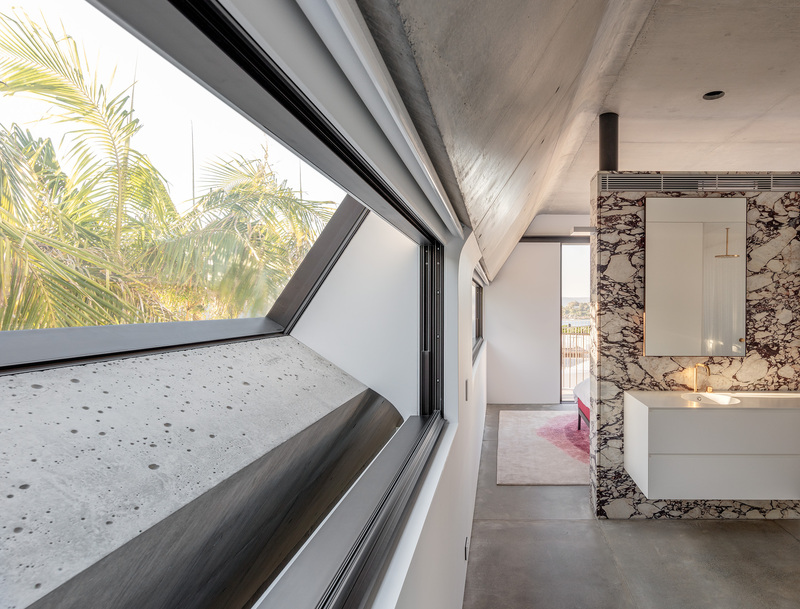 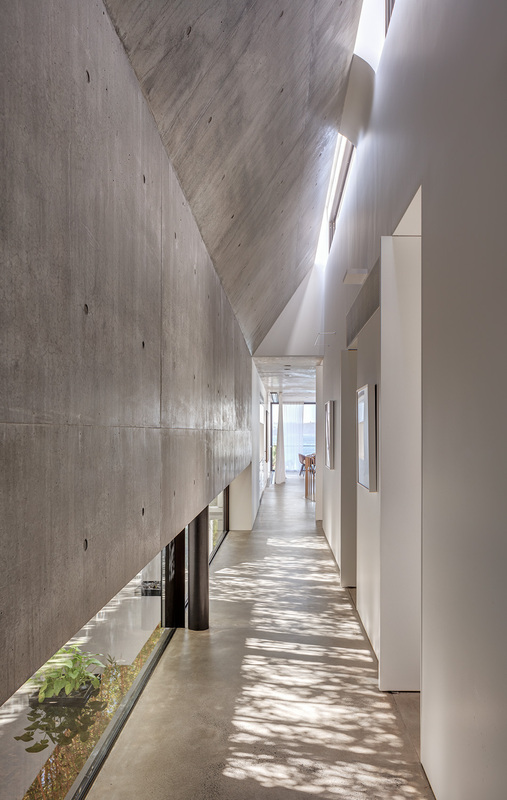 The house appears as an unfolding white form, edged by garden courtyards and green roofs. 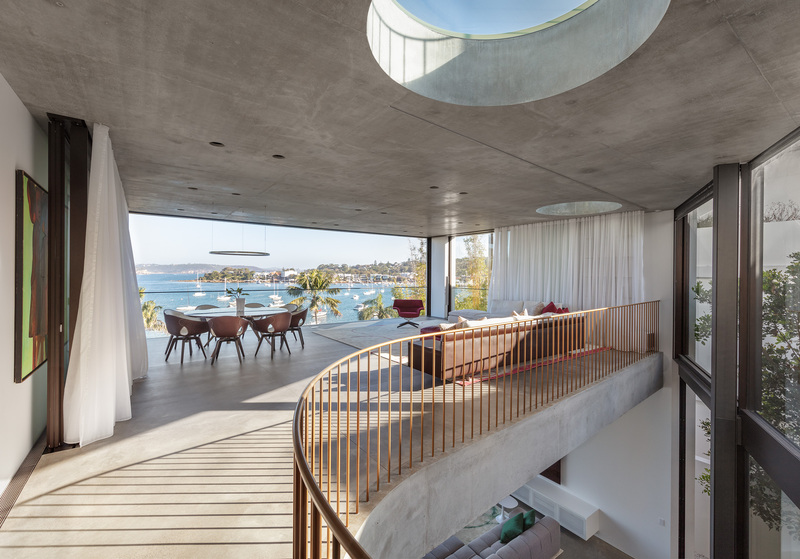 The interplay of sharp lines, refined detail and radial curves creates a sense of sculptural ease and subtle purity as it engages with the site and harbour foreshore. 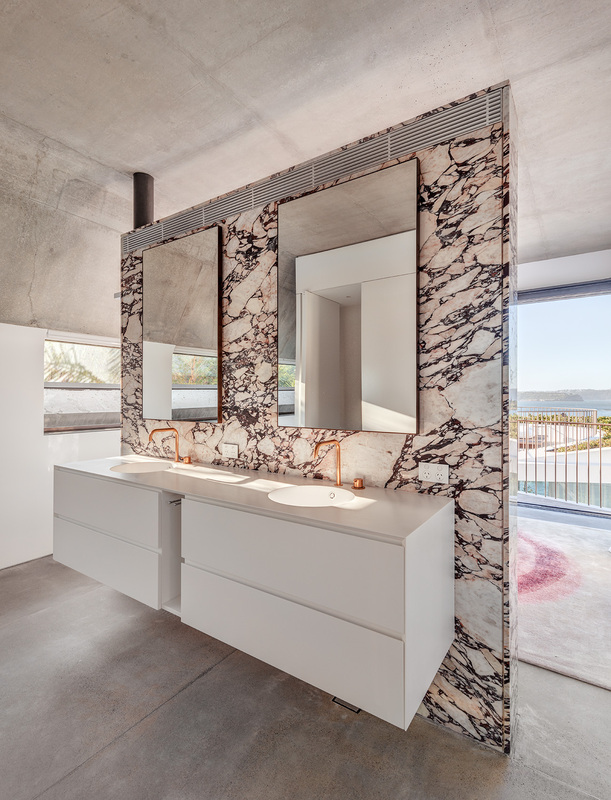 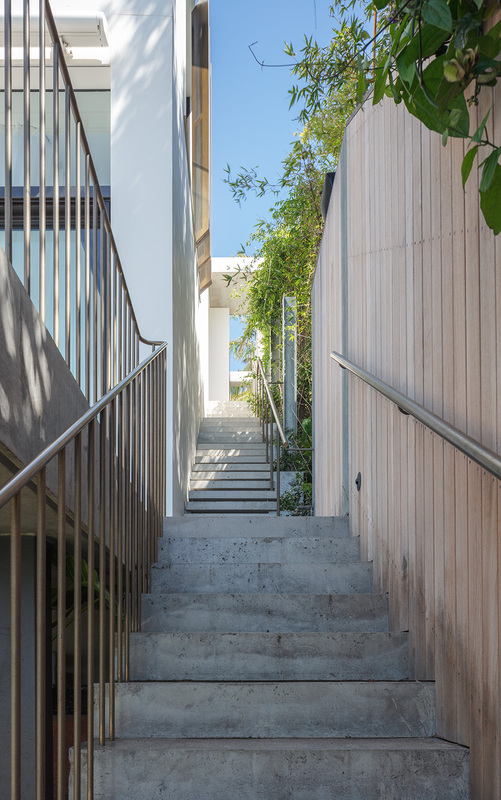 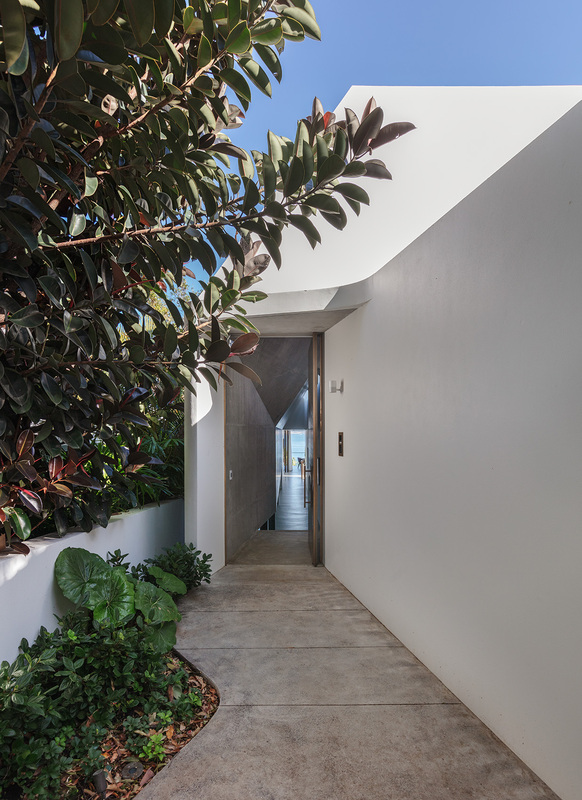 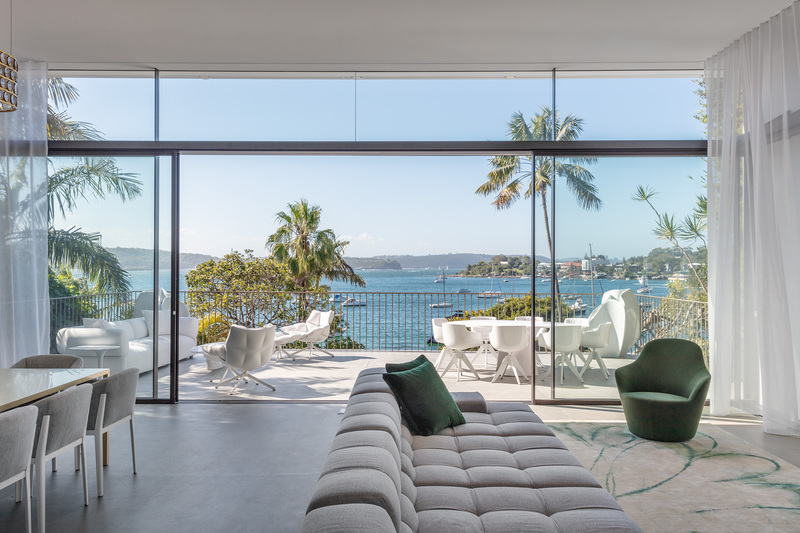 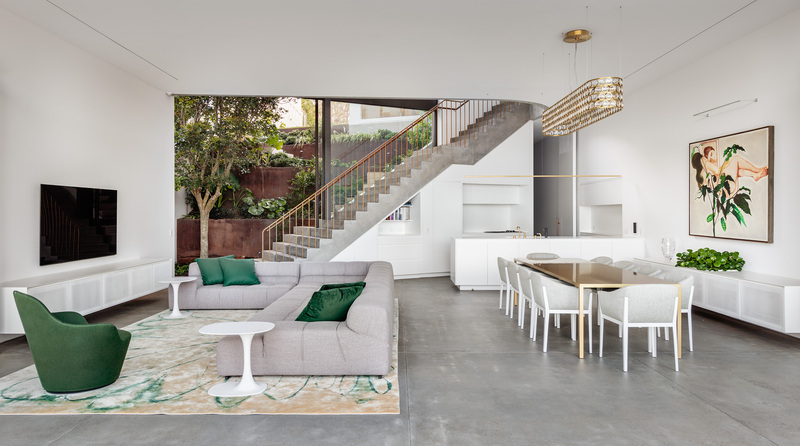 The haptic energising of the senses across the home and gardens highlight the connection to broader context of Sydney Harbour. 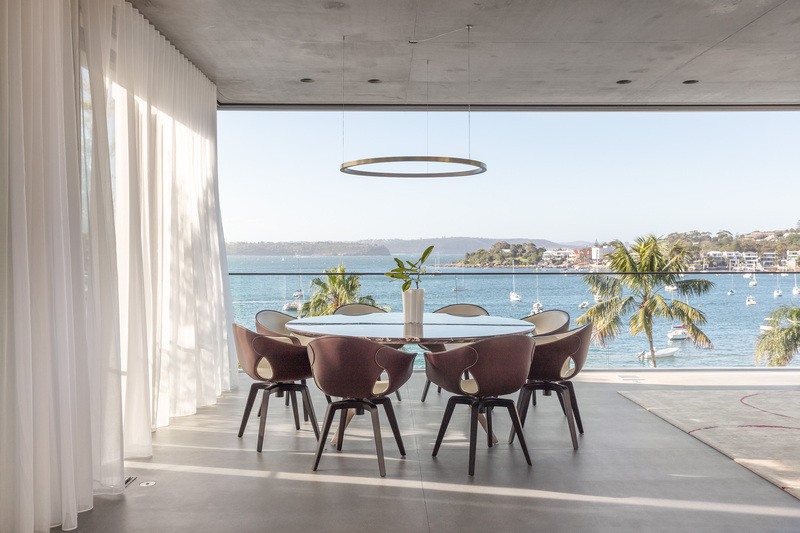 This is complimented by the clients’ imperative for a functional and technologically advanced home. 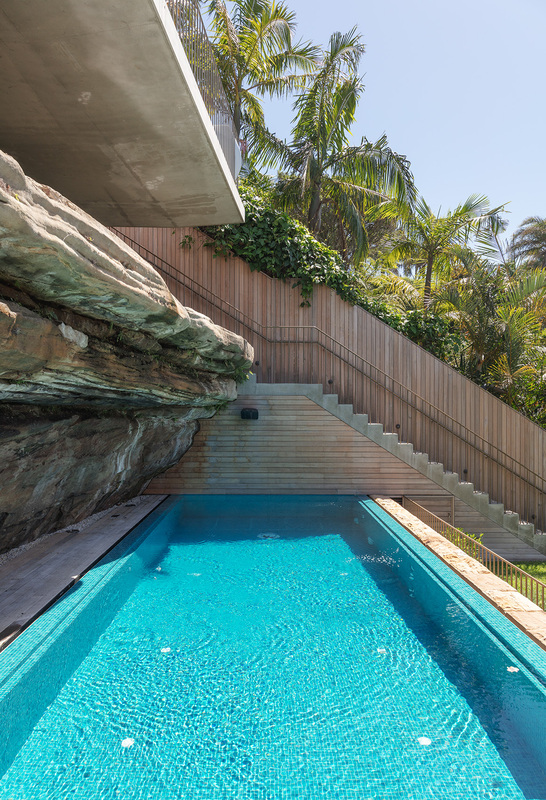 Needless to say, this is a house to be experienced.